The All Progressives Congress (APC) candidate for the Irepodun/Ekiti/Oke-Ero and Isin federal constituency Nov. 17 by-lection, Mr Raheem Olawuyi, was on Thursday allegedly attack by unknown gunmen. Mr Femi David, the campaign spokesman told the News Agency of Nigeria (NAN) that Olawuyi was attacked at Idofin Igbana area during a campaign tour of Oke-Ero Local Government. 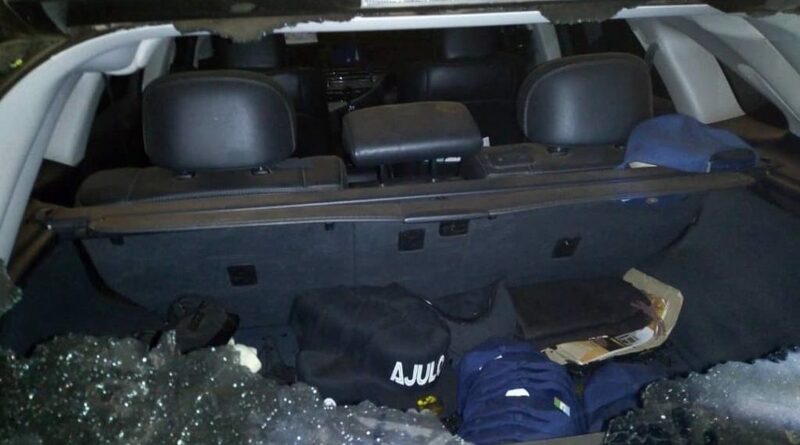 NAN reports that the back screen of Olawuyiâ€™s Lexus Jeep was shattered following the impact of the attack. Olawuyi, the driver and two other stalwarts of the party, were said to have escaped unhurt in the Jeep. Olawuyi, while addressing his supporters at Idofin Igbana afterward at about 2:00 a.m, urged them to remain calm and steadfast. Olaoye said that the community would not rest until the perpetrators were apprehended. NAN reports that Olawuyi and the PDP candidate for the election, Mr Jimoh Alatise are from Omu-Aran.